Ahmed Rushdi was most popular Pakistani Legendary Filmi Music Artist. He was great Singer of Pakistan Film Industry. Ahmed Rushdi sung lot of great songs and he sung super hit songs in different languages and he was master of Pakistani Pop Music. 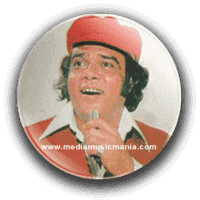 Pakistani peoples like the songs of Ahmed Rushdi, he was famous pop star of Pakistan, his songs specially in Pakistani Films, was remain hit on Waheed Murad, Muhammad Ali, Nadeem and other Super Stars of Pakistani Filmi Industry. His singing style of Music called him as a Master of Pop Music. Ahmed Rushdi was great legendary Singer of Lollywood, he created great name in Pakistan Music. He was great Music Singer of Pakistan, he got lot of Awards in his carrier, in 2003, after 20 years of his death, he got Award Sitara-e-Imtiaz, from President of Pakistan an honour given for distinguished merit in the fields of literature, Arts, Sports, Medicine, or Science. I have selected below Music of Ahmed Rushdi. Ahmed Rushdi was born on 24 April 1934 in Hyderabad Dakkan. He was great versatile Pakistani Hit Singer and he was an important contributor to the Golden Age of Pakistani Filmi Music. He was best known for his distinctive, melodious, powerful voice, complex and dark emotional expressions which led many critics to state his voice as the greatest and most distinctive they had ever heard. He was very popular and first Pop Music Singer of Asia, his Pop Song, "Ko Ko Korina" in the "Film Armaan" was super hit song. This great singer was died on 11 April 1983.